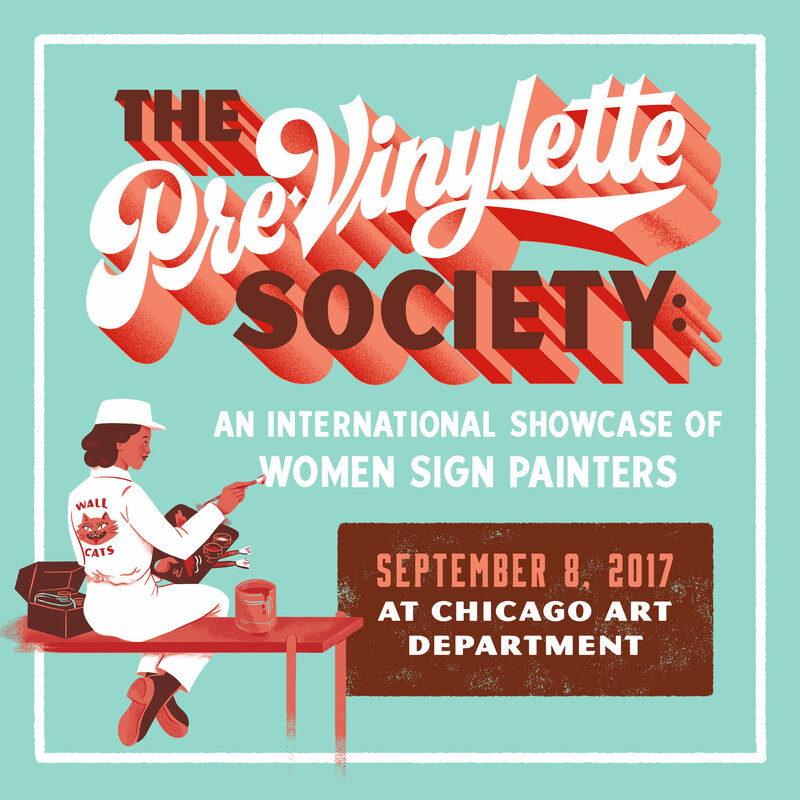 Chicago Art Department and the Pre-Vinylite Society are proud to present a group art show celebrating the work of more than 60 women sign painters from 9 countries around the world! This show, the first sign painting exhibition to feature women only, will display the talent of an international array of female sign painters with a wide range of experience and skill. With the current political climate in the United States and beyond, this exhibition offers a vital feminist statement that pushes back against the common belief that the field of sign painting, like many skilled trades, is the domain of men alone. 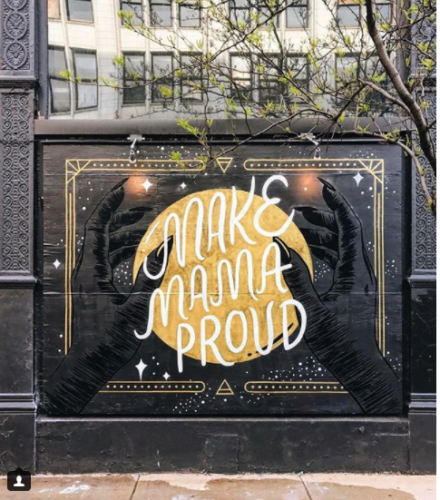 The Pre-Vinylette Society’s International Showcase of Women Sign Painters will feature text-based works in enamel and gold leaf on wood, metal, or glass. It will also include a companion catalogue featuring short interviews with each of the artists. In the week leading up the exhibition, a group of more than 20 international women sign painters will design and paint several murals on the exterior walls of the gallery and adjacent sites. We will also host a panel discussion/audience Q&A with the curators and select artists on September 9th at the gallery. The name of our show—the Pre-Vinylette Society—is a tongue-in-cheek re-appropriation of the grammatical “ette” suffix, which typically denotes a female or smaller version of a male or more substantial (read: better) thing. As language is at the forefront of sign making, this show allows for more female voices to be heard than most historical and even recent surveys of the trade have acknowledged. By reappropriating the “ette” formation, the women of the Pre-Vinylite Society are asserting their rightful place in the long tradition of sign painting and the lettering arts. The Pre-Vinylette panel discussion is an informal Q&A with the curators and select artists from several countries, moderated by Kelsey McClellan and Meredith Kasabian. The artists will discuss their backgrounds, ambitions, and visions for the future of sign painting. It will take place on Saturday, Sept. 9th from 2-4pm at Chicago Art Department. This exhibition is sponsored in part by Better Letters, Right Way Signs, W&B Gold Leaf, and Colossal Media. The murals are sponsored in part by Mack Brush Co.